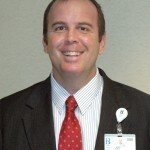 Beebe Medical Center, a not-for-profit, community-owned hospital, has named Jeffrey Peirce as its new Physician Marketing Representative. Mr. Peirce acts as a liaison between Beebe Medical Center and area physicians, healthcare clinicians and their office staff. He keeps physicians abreast of Beebe Medical Center’s medical technology and support services available to aid them in providing the highest quality care to their patients. Mr. Peirce reports to Kelly Griffin, Director of Marketing and Communications for Beebe Medical Center. “Jeff’s previous accomplishments and employment should allow him to foster positive physician relations,” says Jeff Hawtof, MD, Vice President of Medical Operations and Informatics. Mr. Peirce has more than 14 years of experience in sales and marketing, 10 years with global pharmaceutical companies. His sales area has been the Mid-Atlantic and the Delmarva Peninsula. He served as expert resource to physicians and office staff, using a consultative approach to educate practitioners on the medical features and benefits of services to improve overall patient health. He consistently ranked in the top 30 percent of medical sales professionals nationwide. Mr. Peirce has a Bachelor of Science degree in Communications from Clarion University of Pennsylvania.